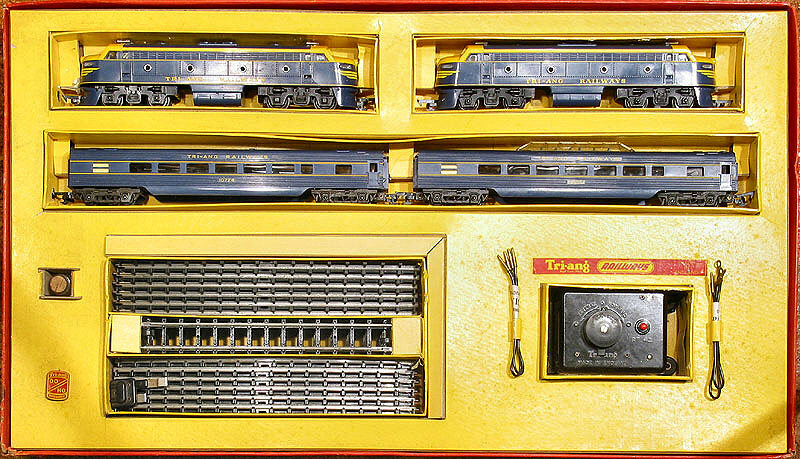 The R3V Set was introduced in 1959 and contained Double-ended Diesel, Dummy, Two blue TC Passenger Cars. 12 curves, 6 straights. 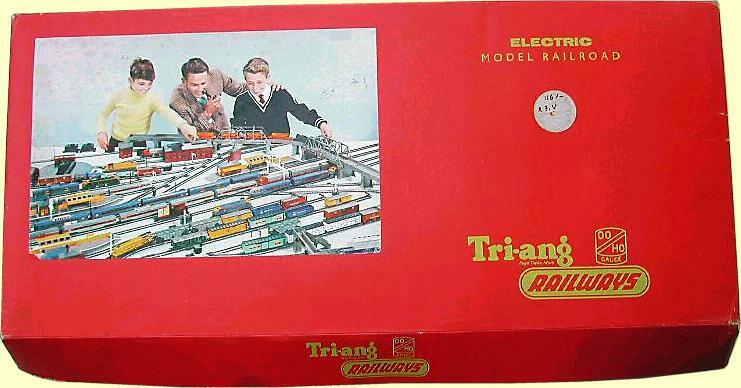 Was basically the RVX set with Series 3 track, it became the R3V Set. 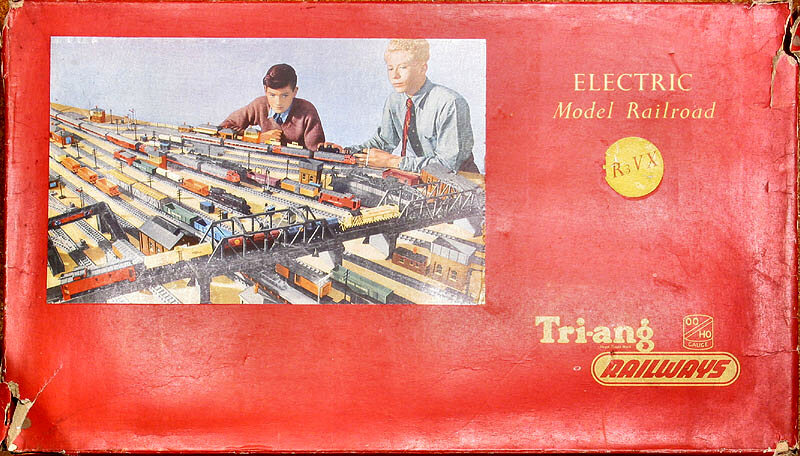 It contained Double-ended Diesel, Dummy, Two blue TC Passenger Cars, 12 curves, 6 straights and R42 Controller.